Cricket is argued to be the second most popular sport in the world, directly after football, with over 2.5 billion fans all over the globe. That includes about one-third of the global population and it is a ridiculous amount of people. 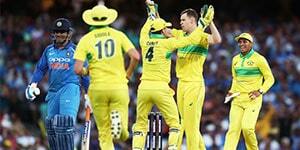 Yet still, the sport also enjoys immense popularity in the world of online gambling and just about every sportsbook out there offers cricket betting options. In this article, we will explore the world of online cricket betting and take a look at some critical aspects of the practice, such as bet types, banking options, odds types, sportsbook features and more. Modern online sportsbooks come with a variety of different features that will make your cricket betting experience much more enjoyable and worthwhile. Some of these are simple improvements to the platforms, while others offer a lot of useful information, allowing you to more efficiently place your bets. Starting off with one of the more important aspects is the wide range of betting markets supported by the present-day sports betting industry. You will have access to a whole slew of cricket leagues from all over the globe and able to pick and choose between the best matches currently played. This is true not only for the cricket markets but for all sports in general. There is no better time to a punter than the present and that it will only get better from here on. Not only do you have access to a large number of cricket events to bet on, but you will also be able to look at the statistics from previous matches. Many sportsbooks keep records of previous events and allow punters to cross-reference the performance of teams and players. This means that you will have a vast pool of information at your disposal and be able to place your bets accordingly. Finally, we come to an interesting and sometimes overlooked feature available at many of the larger brands. We are talking about live streaming or the option of viewing the matches as they take place live. Not only does this allow you to watch your favorite cricket games but it also gives you the opportunity to place better In-Play wagers, about which we will go into further detail down the line. In any event, it is always a good idea to make use of the live streaming features as they may be your only way of viewing certain matches. Before you can get to place your bets, you need to be sure that you fully understand the odds and payouts associated with them. Currently, most sportsbooks support three different odds formats and they allow users to switch between them as they see fit. Below, we have included detailed descriptions about how each format is presented and how you should read the odds. Decimal odds are arguably the most commonly featured format and the default type at most online sportsbooks. They are presented as a decimal number, for example, 1.60 and they indicate how much you stand to make from a bet. Decima odds show your net balance after the bet has concluded. Therefore, for a $100 bet at odds of 1.60, you will make $60 as profit, for a net balance of $160. One thing that you should always take to heart is that the lower the odds, the greater the probability of winning a bet. Fractional odds are primarily featured at UK and Irish bookies, though many of the major brands support this format. As you can imagine, they are presented as a fraction, e.g. 6/5 and indicate the profit that you stand to make from a bet. For example, a $100 bet at odds of 6/5 would earn you $120 in profit, for a net balance of $220. If you want to quickly see what your winnings will be, then fractional odds are the way to go. The third and final odds format is the American and you will find it much different from the previous two. American odds are presented as (+)150 or (-)200, for example, and they hold a lot of information regarding the match. To begin with, the plus symbol indicates the underdog in the match and the number after it signifies the money that you stand to win from a $100 bet. On the other hand, the minus symbol shows the team favored to win the matchup and the number after it is the amount that you have to wager to earn $100. One thing to note is that American odds only show the profit, much like fractional odds. Support for mobile devices has become not so much an option but a requirement nowadays for the best gambling websites. With a rising number of customers placing bets from their smartphones and tablets, it is no surprise that sportsbooks are looking to capitalize on the interest in mobile betting and offering mobile versions of their platforms. In today’s market, all of the major gambling brands will offer some form of mobile sports betting, including support for cricket bets. You should have no issues in logging in from your mobile device and placing a few bets while on the go. Mobile versions of online sportsbooks have come a long way since the early days and are now capable of offering a full-fledged online gambling experience. They retain all of the functionality of their desktop counterparts, including the full range of betting markets, promotions, customer support, banking options and much more. Typically, they are made to scale down with the size of the display, thus allowing everyone to make use of the sportsbook regardless of the type of device that they have. When you first join an online sportsbook, you will notice that there is a slew of different betting options for cricket matches. If you are not familiar with how these work, you may have a hard time getting into cricket betting. For your convenience, we have compiled a list of the most common bet types that you will find at gambling websites nowadays and a brief explanation of how each bet works. This is the simplest type of bet that you will have at your disposal. Basically, when you place a match bet you are guessing which cricket team will win the matchup. It is that simple and it is the prefered betting option for punters new to gambling. You should keep in mind that there are certain conditions for this to be a successful bet. For example, if the match ends in a tie, the bets may be voided. Similarly, there may also be a score minimum for a sportsbook to pay out. The Tied Match betting option is pretty self-explanatory. You are betting on whether or not the match will end in a draw. Most often this bet is only available on test games since they are the type that most often end tied. You can easily use this type of bet in conjunction with a Match Bet in order to hedge and possibly cut your losses. Another common bet type is the Series Winner. This type will have you making predictions on which team will win a series of games, rather than any single one. Typically, it is on one of two teams that play a best-of-three or a best-of-five. As long as your team wins the series, you also win the bet. Naturally, this type of bet involves higher degrees of risk than a Match Bet and you can expect a marginally higher payout. If you are the type that likes to bet on long-term events, then you might wish to consider the Outright Winner option. Unlike the previously mentioned wagers, an Outright Winner bet is a prediction on who will win an entire tournament, rather than a single match or series. As you can imagine, this is easier said than done and bettors are treated to significantly better odds and payouts than many other types of bets. Entering the proposition sphere of cricket betting, the Top Batsman is one of the most common betting options. When you put down a Top Batsman wager, you are trying to predict which player will score the most runs during an event. That could be a match, a series, even a tournament in some cases. As is the case with more risky bets, Top Batsman offers significantly higher odds than the average cricket bet. The Top Bowler bet is very similar to the Top Batsman, only this time you are guessing which player will take the most wickets over the course of an event. If you have been paying attention, you will know that the event could be an innings, a match or a series. Yet another interesting betting option, the Batsman Contest pits two players against one another, whether they be from two different teams or the same one. The Contest usually involves who will perform the best in the selected category, which can include the most runs and most sixes scored. Over/Under bets are some of the most popular, in general, and they are also available for cricket matches. When you put down this type of bet, you are trying to predict whether or not the total score will be under or over a certain benchmark. More specifically, this bet takes into account all runs scored by both teams and combines them. Over/Under bets are not as risky as other options, but still provide decent payouts for what they offer. Handicap Bets are a great means of winning a bit more cash if you have a knack for correctly guessing match outcomes. Unlike many other bet types, Handicaps deal with a more hypothetical situation, applying a handicap or giving an advantage to a team in the final score. Essentially, you can deduct or add points from the final score for the purposes of this bet and if your team wins after the change has been applied, you also win. There are certain aspects that you should consider, however. Namely, the larger the handicap, the higher the risk and the payout for it. On the other hand, the larger the advantage that you assign to a team, the lower your payout will be. In-Play betting is one of the many benefits that online gambling brings to punters everywhere. In-Play betting options allow gamblers to place bets while a match is currently active. The specific bets vary depending on the game, but you will typically have at least a handful at your disposal. The odds of In-Play bets are calculated with respect to the current state of the match and can change on a moment’s notice. Naturally, once you put down your money, they will remain fixed. You also have the opportunity to cash out your bets before the match has concluded for a lower payout than if you had waited for the outcome. This is especially useful if you believe that the situation is going badly and you wish to cut your losses. Another vital aspect of online cricket betting is bankroll management. As you should already know, using physical cash is not a possibility on the Internet and thus, you will have to settle for one of the multiple online payment services supported by the gambling industry. Fortunately, you will have multiple options when it comes to picking a banking solution, each with its own set of advantages and disadvantages. A large percentage of the online gambling community has grown accustomed to funding their betting activities with a credit card. There are many good reasons for doing so, namely, the instant deposit times and the universal acceptance of this payment method. Due to their popularity, credit cards are supported by practically every gambling website and if you choose to switch your primary sportsbook, you can easily make the transition, knowing that your card will be accepted. Withdrawals are possible via credit card, though it may take up to several business days for the payment to clear after you have verified your identity and the sportsbook has reviewed your cash-in request. Most online sportsbooks take Visa and MasterCard, with several also accepting Maestro, Diners Club and Discover Card. Another great payment method comes to us in the form of eWallets. These have been around for quite a while and have become the primary banking solution for countless gamblers all over the globe. Their popularity is due to the wide range of benefits that they offer, including instant deposits and arguably the fastest withdrawals in the industry. Furthermore, eWallets also allow for a certain degree of anonymity when making payments, allowing you to maintain your privacy. Last but not least, the most used services are supported by just about every online sportsbook that you will come across. Popular eWallets include Skrill, Neteller, EntroPay, PayPal, WebMoney, and several others. If you do not feel like setting up a complex payment service for the purposes of online gambling, you can always make use of the prepaid options supported by sportsbooks. There are some advantages to using prepaid cards, namely the quick deposits and the complete anonymity when making transactions. Unfortunately, prepaid services also come with a variety of disadvantages, including low transaction limits and in some cases, an inability to withdraw your balance. If you are interested in using prepaid services, be sure to check out EcoPayz and Paysafecard, two of the more popular brands. Online banking is a great way to directly move money from your bank account to your sportsbook balance. This is done via third-party services, which handle the transaction and allow you to instantly start placing bets. Apart from quick deposits, you can also rely on some degree of privacy, since your payment information is not revealed once the payment clears. The tricky part comes in the sense that many of these services are region-specific and if you are not located in a supported country, then you will likely not have access to the service. Popular online banking solutions include iDebit, InstaDebit, Banking by Citadel, Interac Online and more. A vital factor to consider when joining an online sportsbook is the security that the website offers. After all, you will be required to submit personal documents such as an ID and you do not want that information to be floating around on the Internet for everyone to see. Luckily, there are laws in place that require gambling website to be able to handle users’ personal and banking data. Operators employ many different means to keep that information away from prying eyes so that customers can have peace of mind when enjoying their sports betting activities. The implemented security usually comes in the form of complex encryption systems that make any data unreadable to unauthorized parties. When you submit your information to the sportsbook it will be stored in a safe manner and even in the event of a data leak, potential wrongdoers will not be able to access it due to the encryption. Modern encryption software has reached a point where it is incredibly difficult to decipher, taking on average several decades with present-day technology. This makes any hacking attempt not worthwhile and your data will remain private. Additionally, you can take extra steps to protect your sportsbook account. Many gambling websites offer Two-Factor Authentication to customers. When activated, this system requires that you enter a code before access is granted to your account. This code is randomly generated every 30 seconds or so and is sent to your device via SMS or a dedicated app. It is a simple, yet incredibly effective security feature and it has worked quite well so far. In today’s market, there are hundreds if not thousands of sportsbooks out there for you to choose from. But with so many options, how can you decide which is the right website for you to place cricket bets? There are certain aspects that you can look out for which will separate the good from the not so good. First and foremost, you have to look for a license issued by a regulatory institution. This is the only way that you can be truly certain that a gambling website is run by a legitimate and trustworthy operator. In order to obtain such a license, a website has to go through stringent tests to ensure that all activities are above board and that customers will be treated fairly. A license by the Malta Gaming Authority and the United Kingdom Gambling Commission are a good indicator and a benchmark by which to judge. Additionally, you also have to consider the customer support offered by the operator. Online gambling does not give you the option of walking up to an employee and asking them questions. Therefore, you will need to be sure that the sportsbook offers good customer support over the Internet in case you need assistance in anything. The best sportsbooks offer live chat and email at any hour of the day, with phone support as an added benefit. Additionally, you may also want to look into the languages in which customer support is available. If you ever have doubts regarding what sportsbook is the right one for you, do not hesitate to look at our reviews section. We only include the best gambling websites on the Internet with a proven track record of good conduct. As such, we guarantee that you will have a good experience with the sportsbooks we feature.